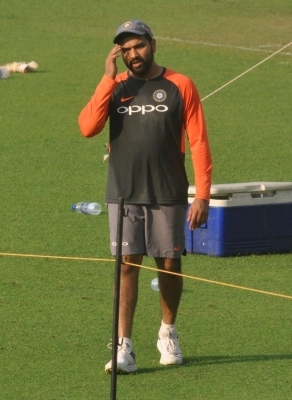 Mumbai, Nov 13 (IANS) Fresh from a 3-0 mauling of the West Indies in the T20 International rubber under his captaincy, star batsman Rohit Sharma's recent workload was taken into consideration as the BCCI on Tuesday decided to rest him from the India A squad for the first four-day match against New Zealand A. "Rohit, who was originally named in India A's squad for the first four-day match against New Zealand A, has been advised rest by the BCCI medical team in consultation with the team management and the All-India Senior Selection Committee," a BCCI statement read. "The decision was taken keeping in mind his recent workload," it added. Rohit will now travel with India's T20 squad that will leave for Australia on Friday. The three-match T20I rubber against the Kangaroos commences November 21, which will be followed by four Tests and three One-day Internationals.